A guide to web coding in TestComplete. I will be using the JScript language. Start by going to the TestComplete website and register for a free trial. Once you have registered you should be emailed a key and a link to download the test complete software (you might want to grab the executable of a college to save some bandwidth). 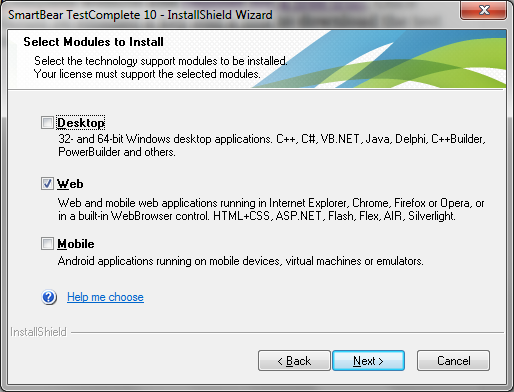 Once you have installed TestComplete (Web), you should probably ‘prepare‘ the browser you want to use and I would recommend running through the web tutorial provided by SmartBear before reading further. Note: If you run into problems using all the browsers, you might need to enable the TestComplete plug-in. For example Chrome had the extension disabled by default meaning the tests would not work when executed. Once you have run through the tutorial I think it is worth transitioning to writing your tests as scripts. 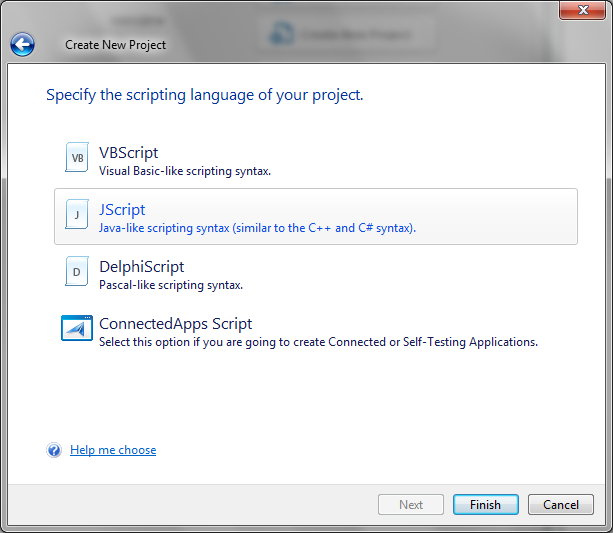 The language I have chosen in JScript (you choose this when you create a project). I chose this language as it is the most similar to C++ – “JScript […] is more similar to C++ and C# than the C++Script and C#Script syntax is”. You can read more here. The first thing I did was right-click on the KeywordTest and select “Convert to Script”. This gives us a good idea on what to expect. I use this feature quite a lot to quickly get the syntax for a command. I put this code at the end of my original file. At the top I created a main() function which calls TestDriver() sending it the location of the excel file. We now need to create our own ProcessData() function to store the variables in a way we can later use. However, before doing this we need to have a look at how to create classes and arrays of objects. Then select ODT and press ok. If you put a breakpoint inside the stub() function you should see that it is called twice since we have two objects in the object array. Try changing the number of objects to confirm this relationship. NOTE: remember that my Aliases names may be different to yours. The aliases are stored in the NameMapping file.